Need some new social media marketing tools? 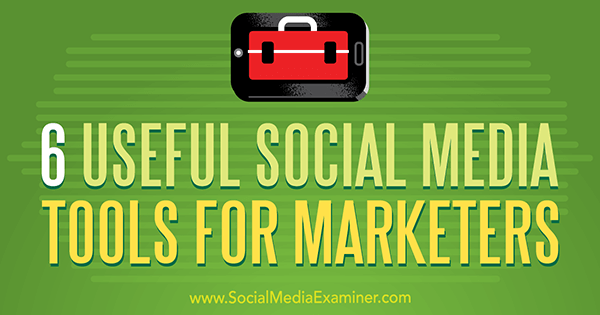 New tools have recently emerged to meet the evolving needs of busy social media marketers. In this article, you’ll discover six tools that will improve your social media marketing workflow. 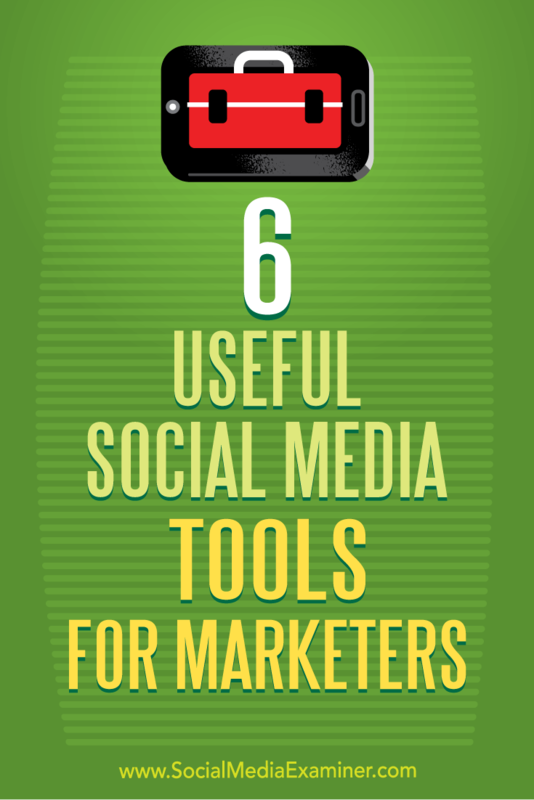 6 Useful Social Media Tools for Marketers by Aaron Agius on Social Media Examiner. According to Yotpo, ads based on user-generated content (UGC) can get 4x higher click-through rates and a 50% lower cost per click (CPC) than average. Managing user-generated content campaigns can be tricky though. Waaffle simplifies the process by creating aggregate custom feeds based on any @ account or #hashtag. Waaffle’s current “early bird” pricing starts at $9/month per campaign. To get started, create an account and attach your Twitter or Instagram profile. From here, you can set up campaigns to track content published by individual accounts or that contain a specific hashtag. 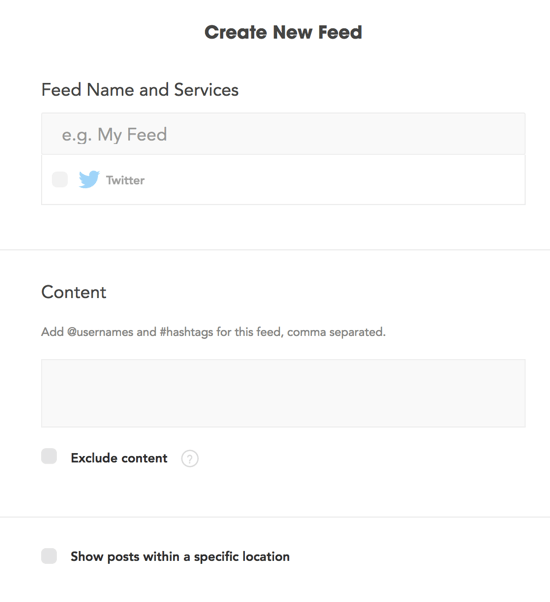 You can create Waaffle feeds based on individual accounts or specific hashtags. You can then view content based on your feed parameters. 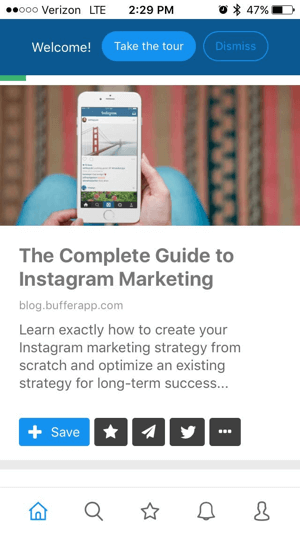 Waaffle displays content matching your campaign parameters. Click the Analyse tab to learn more about the content you’ve aggregated. You can find out more about your aggregated content on the Analyse tab. 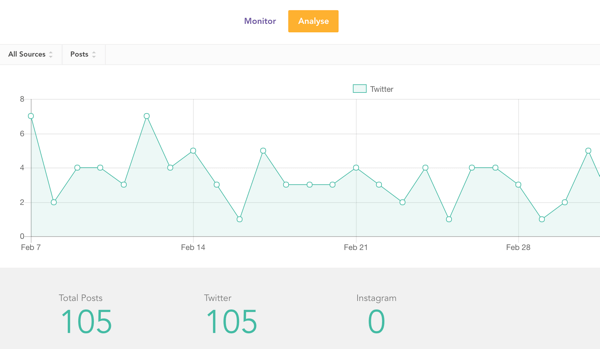 Monitor performance of your company accounts and hashtag campaigns. Publish content you’ve curated from other accounts to your feeds. 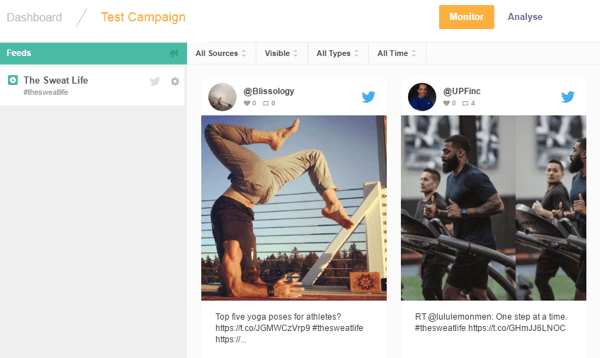 Monitor your competitors’ accounts or hashtag campaigns to inform your own channel curation. 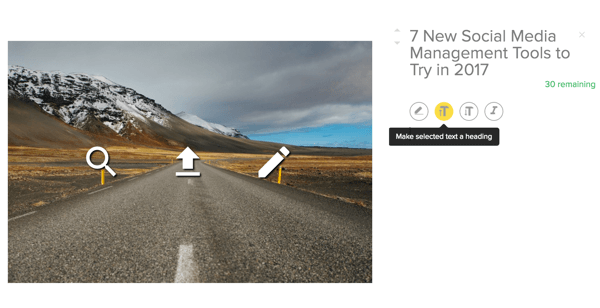 Refind is a free tool that aims to address an issue every social media manager has faced: trying to remember an article you saw that would be perfect for sharing on your social profile. 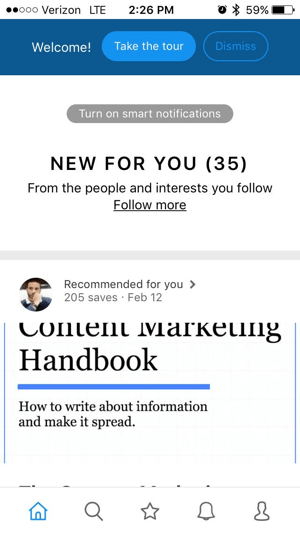 While Refind is a great option for curating personal articles to read later, it’s even more beneficial for loading your social channels with relevant updates. The desktop version of the program is currently in beta, so you’ll need to submit your Twitter ID to see if you’ve been invited. If not, you have the options to join the waitlist or tweet about the app to gain priority access. 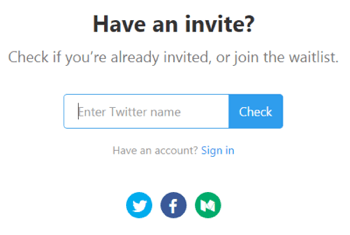 Enter your Twitter handle to see if you’re invited to the Refind desktop beta. Refind’s iOS and Android apps are available to everyone, so you can access the tool on your smart device. A quick wizard walks you through setting up your Refind channel. First you’re prompted to choose your interests. Choose interests for your Refind account. 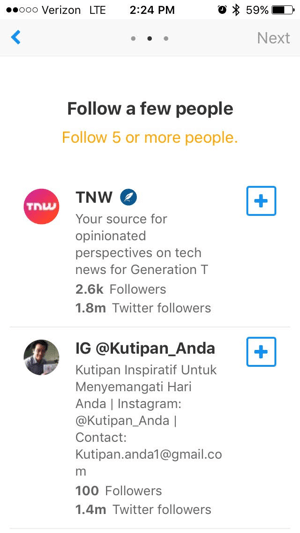 Next you’re offered suggestions for influencers to follow in these spaces. 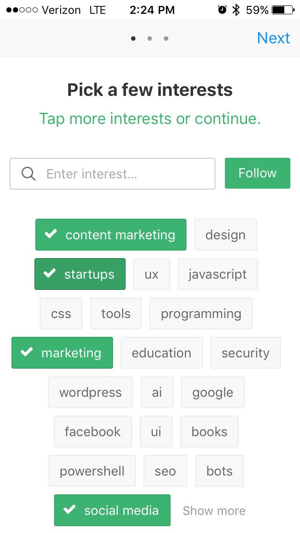 Refind suggests relevant influencers you may want to follow. The final step shows you how to save links from your device. You can also choose if you want to automatically import links you share on Twitter. Select the check box to import the links you’ve shared on Twitter. Once signup is complete, you’re taken to the welcome screen where you can take a tour of the app or begin browsing links that have been selected for you. Refind’s welcome screen shows recommendations for you. 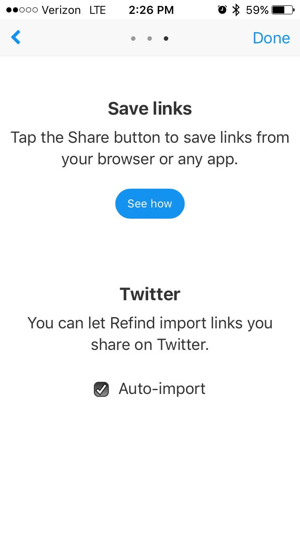 Within each suggested link, Refind provides buttons that let you save the link, send it directly to Twitter, or perform a number of other actions. With each article, you’ll see buttons that allow you to save, tweet, or perform other actions on the article. Save interesting links you want to upload to your social profiles later. Follow influencers in your industry to curate links they share for your audience. Check a link’s stats to see how many others have shared it (and therefore, how interesting your audience might find it). 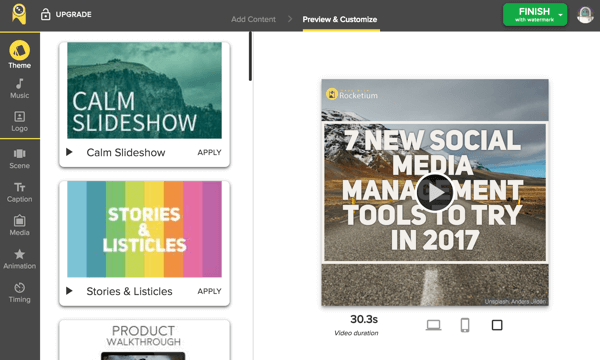 Rocketium is one of the simplest ways to create overlaid-text videos for your social media and content marketing campaigns. Use it to create quick videos (like BuzzFeed’s Tasty series) to fill out your social profiles. This tool is free for watermarked videos; paid plans at $19/month and $49/month will unlock premium features. Rocketium’s video editor consists of two screens. 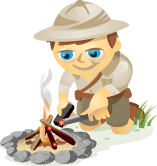 On the first screen, add your content including images, videos, and captions. When you’re finished, click Continue in the upper-right corner. Add content to create your Rocketium video. On the next screen, customize your video with different animation styles, music clips, aspect ratios, and more. When you’re done, click Finish. 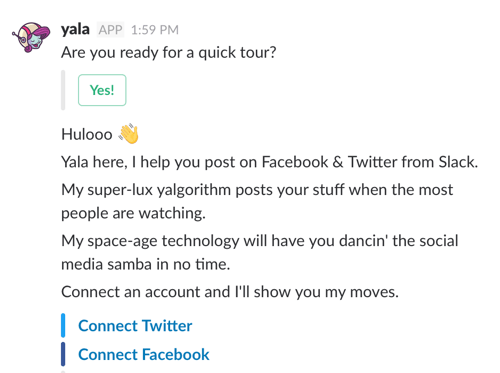 If you use Slack, you need the Yala bot. This free tool uses machine learning algorithms to identify your social following’s most active times and lets you auto-schedule “series” of posts from within Slack. Yala currently works with Facebook and Twitter, and the team is exploring offering a similar service through Facebook Messenger. To get started, click the Add to Slack button. 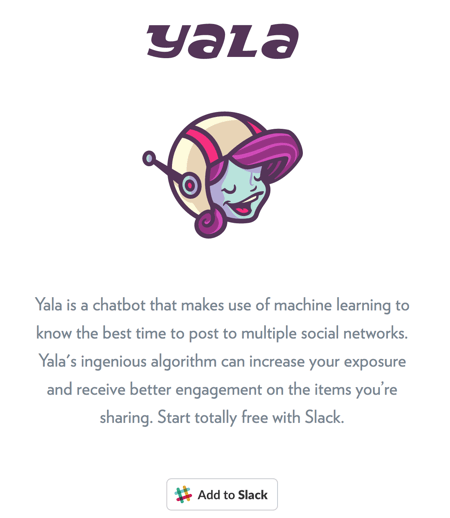 Click Add to Slack to install the Yala integration. Once you grant the appropriate permissions, Yala will initiate a tutorial via private message to help you connect your social accounts. Yala takes you on a quick tour of the app. Yala recommends posting times for you. You can call Yala at any time for instructions or to schedule posts (including both text posts or images with text). It’s a simple, great option if your team already spends a lot of time on Slack. Quuu is an automated social scheduling tool that suggests updates for your social profiles based on topics you choose. 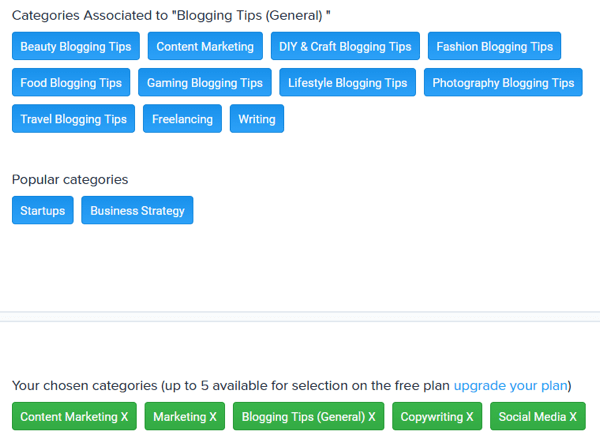 The tool ties into Buffer and HubSpot, and available features include the ability to receive content suggestions for multiple profiles and manually or automatically approve suggestions. You can also promote your own content pieces with Quuu Promote. A limited free plan is available; paid plans begin at $10/month. Quuu is easy to set up. After you create an account, select the platform you’d like to send your suggestions to. 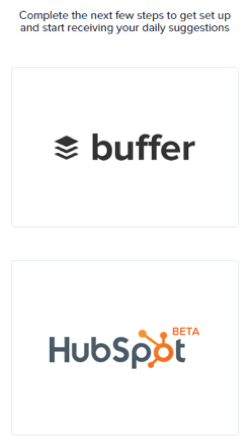 Quuu integrates with both Buffer and HubSpot. Then you’ll need to grant the tool you selected access to your account. You can select up to five categories with Quuu’s free plan. You can receive two suggestions per day with the free Quuu plan. Once your account is set up, suggestions will automatically be sent to your Buffer or HubSpot account, where you’ll be able to manually approve the tool’s suggestions (unless you’ve set your updates to publish automatically). Another helpful Slack bot, Reveal, brings your paid ad campaigns into your chat tool. The goal of the app essentially is to warn you when your ads are losing money. Paid plans begin at $10/month and 14-day free trials are available. To add this tool, click the Add to Slack button on the Reveal homepage. It then leads you through the same permission-granting steps as Yala. Once set, Reveal offers a similar set of tutorials. Like Yala, Reveal takes you on a tour of the app. For best results, use Reveal’s reporting features to monitor your daily, weekly, and monthly campaign performance and receive alerts when your CPC changes significantly. New social media management tools hit the landscape every day. While these are some that are worth checking out, there are plenty of others being launched to address the common challenges of social media marketers. What do you think? Do you have a favorite tool you use? Which tool are you most looking forward to trying out? Share it by leaving me a comment below.